Yes, Virginia, you CAN replace your TPMS batteries! I'm really not a fan of Subaru's TPMS setup. While I will agree that there are people out there that do need a light on their dash to tell them to check their tire pressure, I really don't like that you can't tell which tire has a problem. And it seems like they are trying to fleece way too much money from us, under the guise of protecting us. So, my motto is always "How hard can it be?" Cost me about 20 bucks for 6 batteries off eBay. They actually sent me 10 for some reason, which ended up being a good thing. 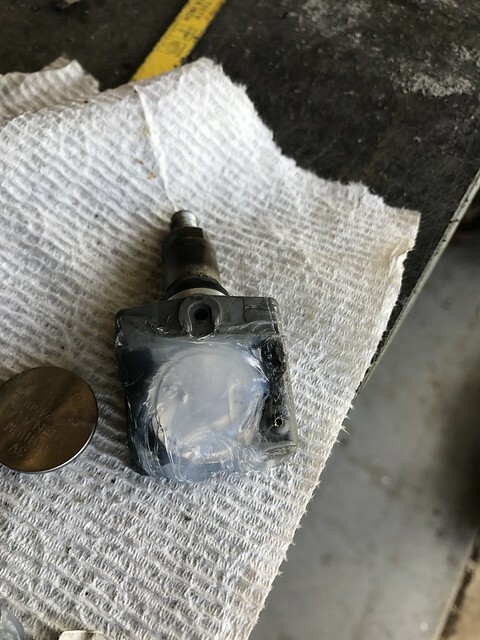 I did have a spare sensor that came on a wheel I ordered to replace a bent one. So I could hack to my hearts delight without worrying about destroying it. It's really pretty easy, once you know exactly where to cut, and get access to the battery. The batteries I ordered were Panasonic BR2450A. There are a few different configurations of this "tabbed" 3 volt lithium battery. But you definitely want the tabbed ones because you don't want to try to solder directly to the battery. Here is the pattern I cut in the sensors, with a hacksaw blade. You just need to cut down through the outer shell, maybe 1/16". This pattern will give full access to the battery, while not disturbing the opening for the pressure sensor, in the lower right corner. 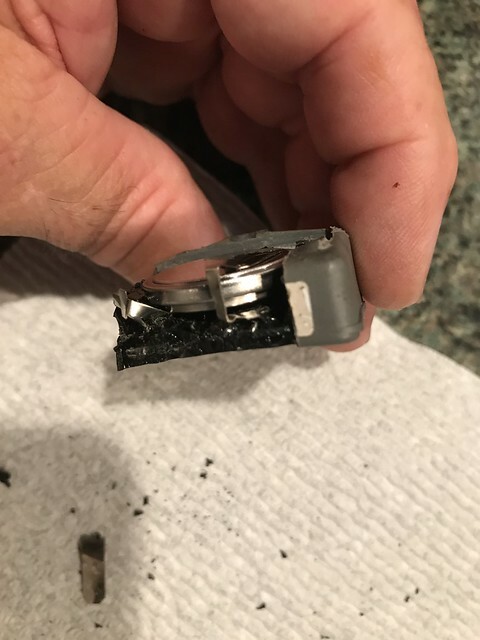 After cutting, carefully pry the cover off the side and top of the battery. 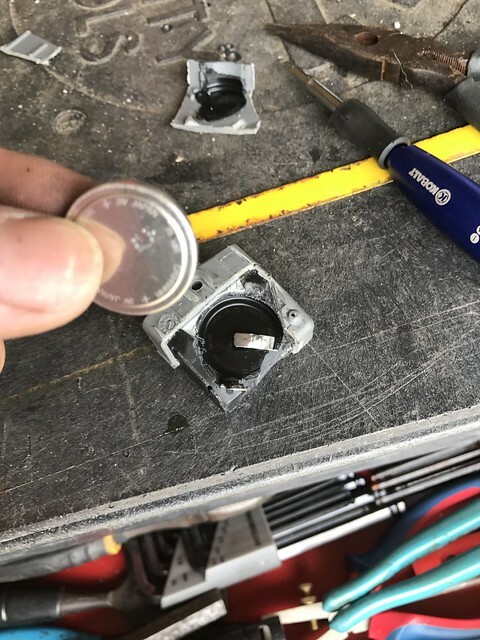 Then, take a small screwdriver or box knife blade, and carefully start working the upper tab off the battery by prying back and forth at the spot welds until it separates. Then gently bend it up out of the way. You want to try and keep from breaking the factory tabs off the circuit board, but it isn't the end of the world if you do. Just have to do more digging and solder directly to the board. Then do the same for the lower tab, just slowly working back and forth till metal fatigue does it's job on the spot welds. Now, Take note of which tabs are positive and negative. 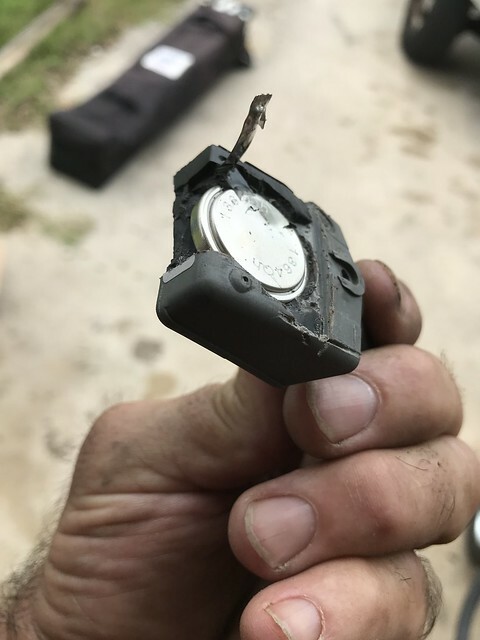 Actually, it's a good idea to do that before the battery is out. I ended up mounting the replacements upside down from the originals, because that's the way the batteries tabs lined up best to solder to the cut off stubs of the sensors tabs. 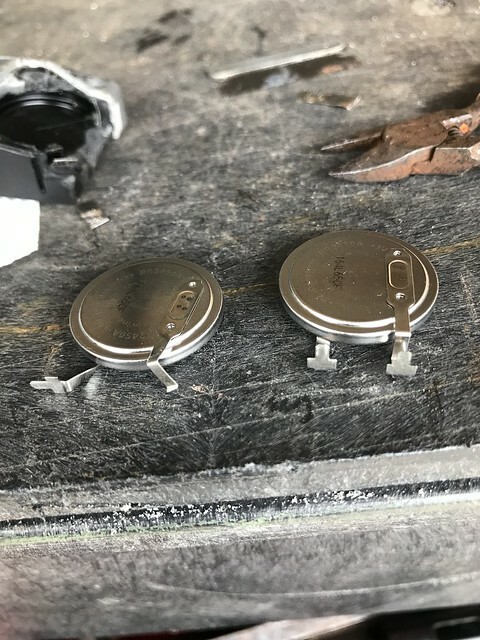 BEFORE you go bending, and or cutting on the battery tabs to configure them to match up for soldering, BE AWARE that just the slightest touch of the + to the - and the battery is toast! 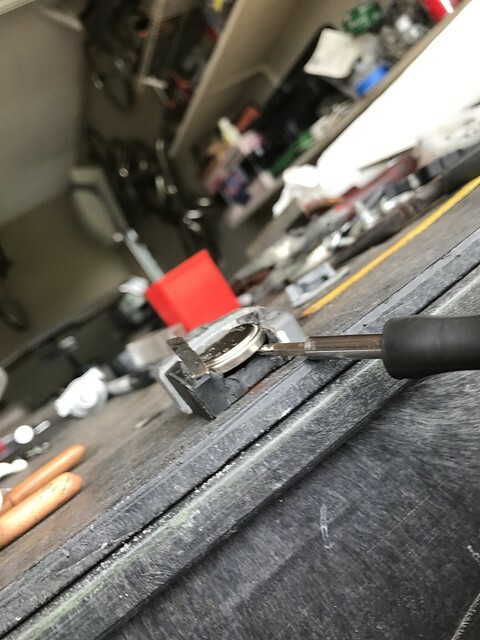 (Ask me how I know) So just be careful, cut and bend the tabs to where they will line up best, and solder them together. Be very mindful of not only the tabs themselves, but where the dividing line is on the battery, to not create a short. 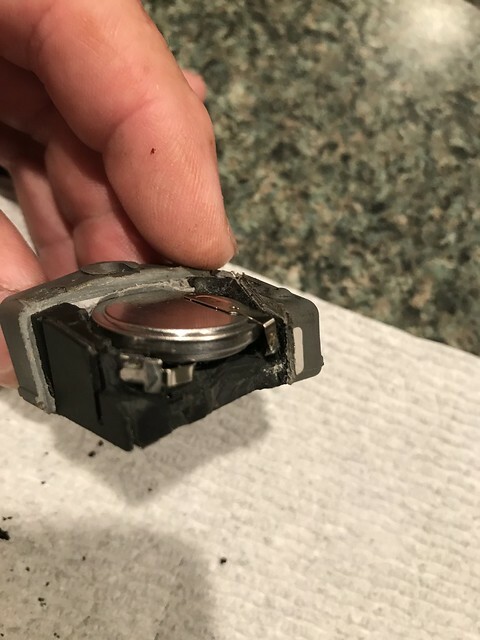 Finally, Seal it back up with some silicone. I used marine grade, but regular silicone is probably fine. Don't get any over the sensor hole. You may need to replace the little seals around the valve stems. Or just clean and condition yours with some armor-all. Be careful while putting the tires back on, as the silicone is not as rugged as the original plastic. I really thought I had failed at first, because there was no change with my light after replacement. Then, on a road trip a couple weeks later, I noticed the light started to flash. I then went over my tire pressures, and it finally went off. I think it needed to get over 70 mph to shake a stuck sensor loose is all I can figure. So far, so good, and I saved a lot of money. Next time it will be easier! I'll admit that I haven't broken the seal on my tires ever, so I don't know what it takes to do that. Doesn't seem like it would be that hard. But I'll just let the tire place change them every 7 years or so when I get the tires replaced. But I love that you did it yourself! I just ignore the light now, lol. I have a sensor that is dying but like you said I don't know which one and every time I have taken it to DT the light isn't on so they can't tell either. My only issue with this is the aluminum valve stems getting corroded (up here in WI salt). 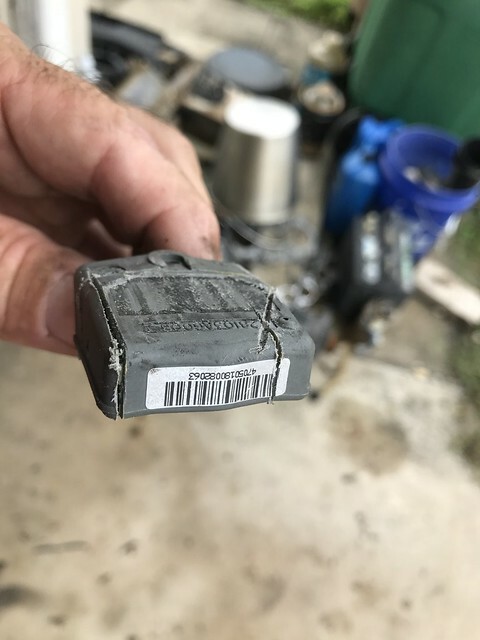 I just input my vehicle info into rockauto and they notify me when parts go clearance. 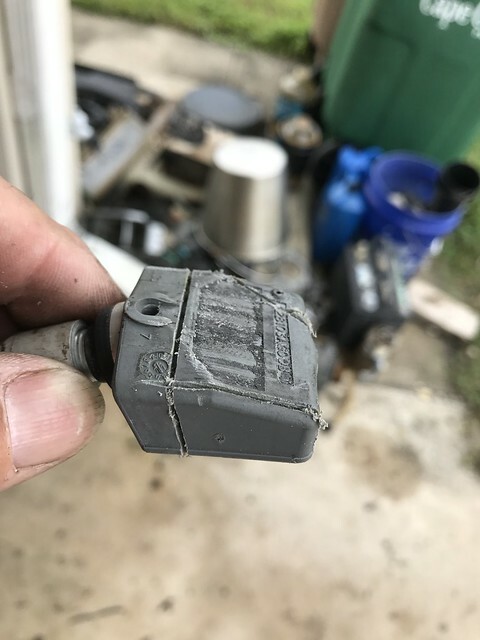 Got the OEM sensors/stems for $20/pc recently and will replace the originals soon (after all, the car is 10-11 years old). Wow! 20 bucks, now that's somewhat reasonable. I must have just missed out on that, 'cause I'm on the same alerts at Rockauto. But now you still have to have your car programmed to accept these, and this is what really gets me. I just can't stand getting held over a barrel with some "new" technology. This should be no more complex than programming a new key fob, garage door opener, or a TV remote. And yet, the cheapest tool you can buy to do it yourself is 400 bucks. In just a couple more years, I bet, after the codes have been broken by people who aren't so greedy, you'll be able to do it with a $4 phone app! Probably true. For now, Discount Tires does it for free if you bought the tires from them at any point. They reprogram mine every season when I swap back and forth between my winters and summers. Should have gotten the cloned ones! In just a couple more years, I bet, after the codes have been broken by people who aren't so greedy, you'll be able to do it with a $4 phone app! Hey, anyone got that phone app yet? I may just kill the light bulb so my wife stops worrying. Seriously Scott, I take my hat off to you for defeating the greedy system. Even if it's for only $80. 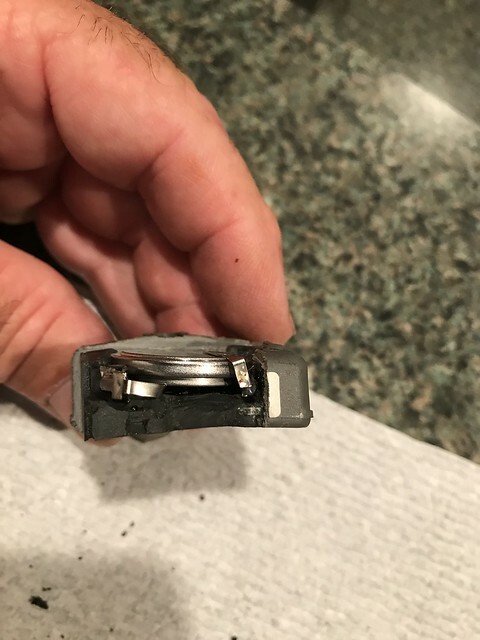 BTW: Is there really no way to measure, or whatever, which battery is bad? Getting in there to the bulb is quite an undertaking! Black electrical tape is a simpler solution. Mabey easier to find the wire to the unit. I read somewhere you can test the valves with a magnet to see which one is failing. Anyone know about this? 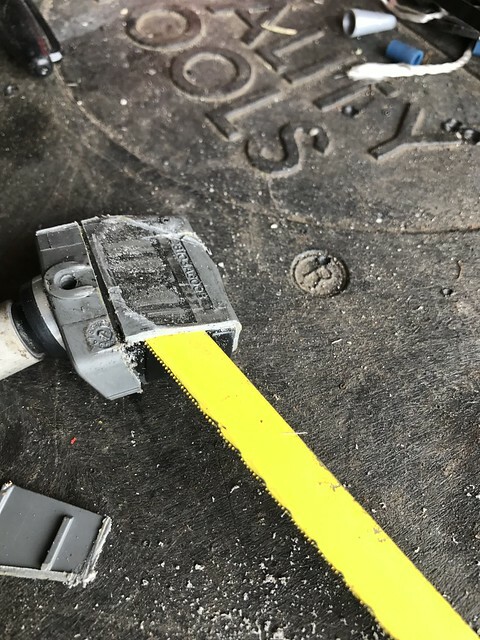 A TPMS tool can usually read the battery level of an individual sensor. 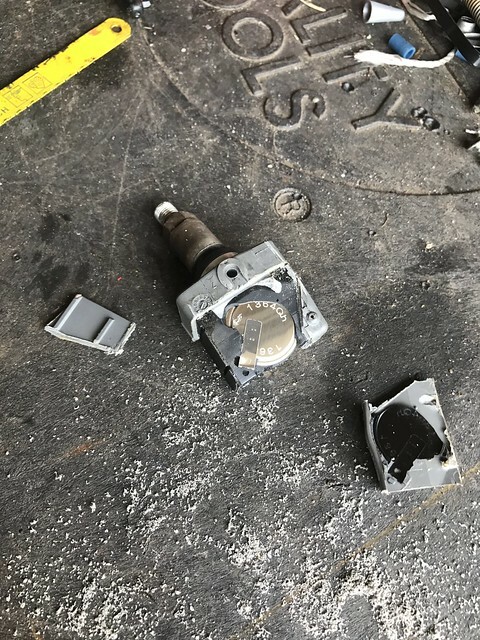 Not sure how else to do it, I usually just say if it's been 8-12 years and the light is flashing, time to replace all of them. 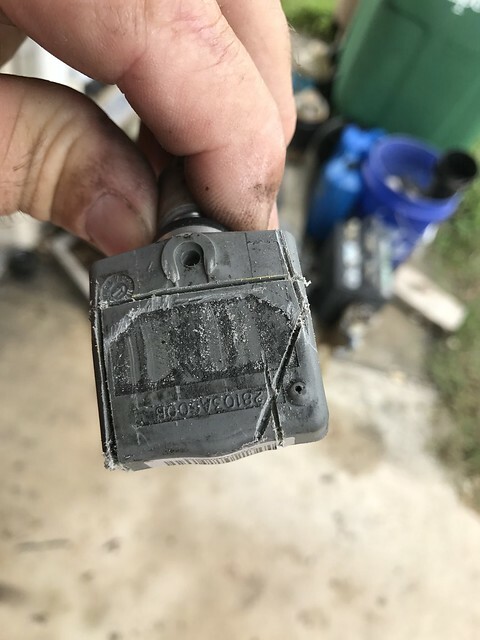 The tpms tool can read battery level, if the sensor has the capability to output it, the stock ones do not, at least not on my 2010 legacy. We have never had an issue on the tribeca they are all still working. I had one replaced on my legacy for about $60 at discount tire, if you buy your tires or their mounting package there you don't have to worry about programming or installation they include it with the pre-purchased services.